We’re led into a heartless immigration screening room. Here, young Mohamed, who we have seen enter illegally from Syria with no identity documents, receives an Orwellian un-welcome. 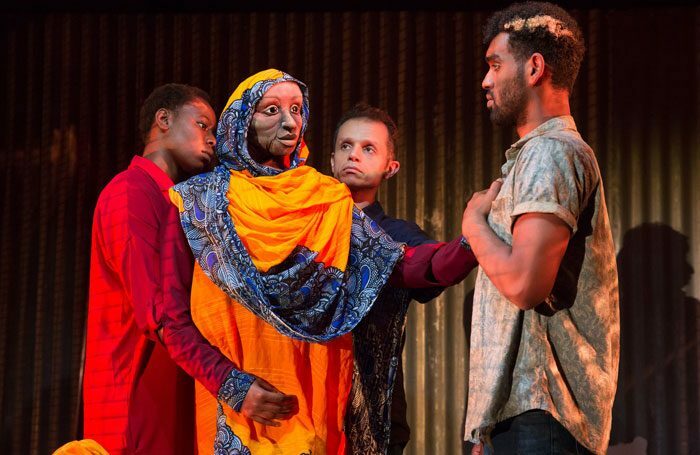 There are similar worrying moments in The Welcoming Party, Theatre-Rites’ first ever production for the Manchester International Festival when the UK comes across as so mean-spirited that you wonder why anyone fleeing danger would risk heading for these shores. But there are others where stories of real people on the move making new lives in a safe haven are both emotive and inspiring. 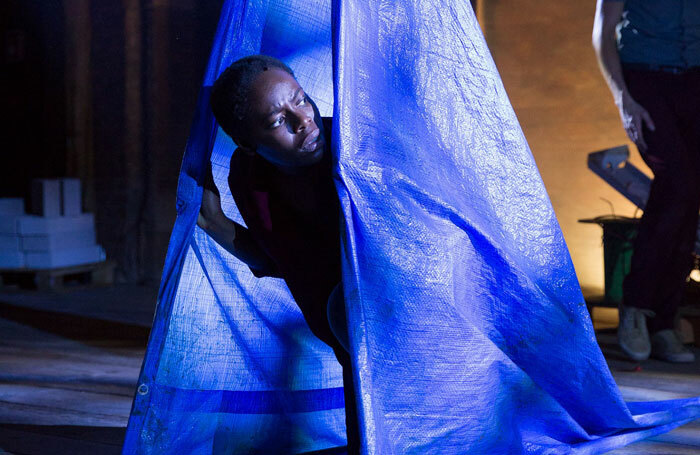 Being a typical Theatre-Rites’ devised piece combining immersive performance strategies with ingenious props and magical puppetry, the entire audience is also sent on a journey. This entails negotiating numerous flights of stairs in the Museum of Science and Industry’s 1830 Warehouse to reach gloomy unused floors where immigrants give their extraordinary personal accounts. And, as part of the immersion, we also experience a border control system of form-filling, finger-printing and frowning officialdom. Aside from its spacial and emotional connectivity, the best part of this show is its authenticity. As drama, you can’t get more genuine than a refugee simply telling like it was. As a plea to be welcoming to newcomers, all the correct humanitarian boxes are heavily ticked, but this leaves no room to interrogate an over-arching didactic narrative that says we need to be told to put that welcome on the mat.